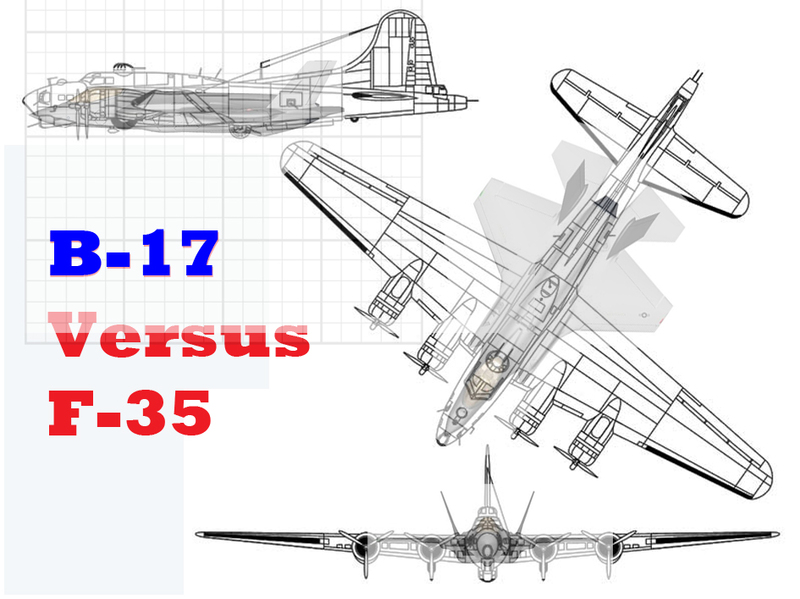 The Boeing B-17 and Lockheed Martin F-35 are two American bombers separated by around 70 years of history. They belong to the same weight class and bear interesting comparison. How many bottles of coke* could you buy with the cost of each aircraft (contemporary prices)? F-35 is worth 113,333,333 cokes an aircraft. B-17 was worth 4,766,580 cokes an aircraft in 1943. The $238,329 it cost to build a B-17 would be worth $3,209,272.19 today. ‘twould be interesting to also measure the cost of the crew risked in each airframe. The “death star” cost of sinking so much of the national treasure into each of these is staggering. Won’t be long until the F35 is obsoleted by UAVs anyway. The design limitations forced by having a meat puppet in the front simply can’t compete with what is coming down the pike. I only hope US / Western aircraft companies and militaries will have the sense to overcome the fighter jock union that insists on manned fighters.